Todd and Dixie are doing fantastic. 2 happy, healthy goofballs. Good to see you back Jess even if it isn't with good news. I'm sorry to hear that Jazz isn't doing very well, I know how heartbreaking it is to watch them suffer. Cocoa goes through her allergy issues every year so I can sympathize. I have put her on antihistamines this year to see if that helps, so far it seems to but the true test will be in the late summer/fall when her allergies are at their worst. Have you tried (or has your vet suggested) an antihistamine? If I remember right from your previous posts you thought it was allergy related. Oh, and good news on the job front, way to go! Hi Tippsy's mom. I remember you from the old days. I am glad to hear you're working and have other pets around but not happy to hear about Jasper. 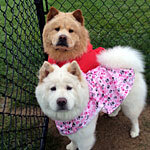 I have just gone through a similar experience with my chow Mikki. For almost 2 years she has done very little, she slept a lot. 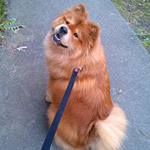 We had our walks at night when it's cool, she had a huge appetite for the home cooked food I prepared but wasn't a happy chow. 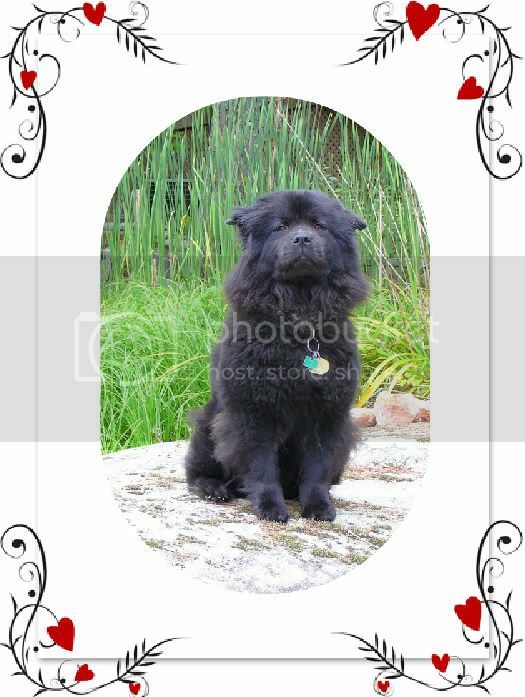 So I finally took the big step and she is now with the other chows in heaven. I buried her collar and leash in the back yard. On August 13th was the day when the vet came to my home. Mikki chow did not sleep that day as if she knew something was going to happen. I feel for you and Jasper. I hope he'll get better but it seems like with my Mikki, one step forward and 2 back. Wish you the best and whatever decision you make I am sure you'll do the right thing.